Ian Krampf chuckled when he was asked Friday evening whether St. Mary’s High lacrosse team liked falling behind early. It hasn’t been a laughing matter, however, for the Saints’ opponents. No. 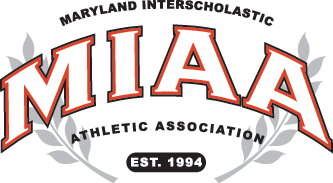 5 St. Mary’s defeated fourth-ranked Loyola Blakefield, 14-7, in a MIAA A Conference contest at Pascal Field in Annapolis. Senior attack Ian Nielsen scored five goals for the Saints (6-3), and Krampf added four goals. Down 2-0 in the first quarter, St. Mary’s accounted for 14 of the next 16 tallies, improving to 3-0 in the nation’s toughest league. The Saints are tied for first with third-ranked Gilman School (2-0) and two-time defending champ and No. 1 Calvert Hall College (3-0). Tuesday, St. Mary’s overcame a 4-2 first half deficit, scoring nine of 10 goals en route to an 11-9 victory at second-ranked St. Paul’s School. Junior attack Nick Lilly finished with two goals and two assists for the Saints, and Gabe Souza, Ryan Jones and Scout Ripley each tallied. Jack Koras and Charlie Koras each scored twice for Loyola (5-3, 2-1 MIAA A). Zach Dudley won 13 of 21 face-offs as St. Mary’s overwhelmed the Dons in transition. Alex Wicks, Dudley and BJ Burlace each had an assist. The Dons started fast, getting unassisted strikes from Alex Breschi and Ryan Lancaster. Loyola led 3-2 early in the second period after Charlie Koras’ goal, started by Bennett Gioioso’s groundball, but it was all St. Mary’s from there. The Saints ran off four straight unassisted tallies to end the first half with a 6-3 advantage. Burlace, a senior longstick, scooped up a groundball and started a break, ending with the first of Nielsen’s five goals. “We know that’s what we have to do, we have to push transition in order to keep up with these teams,” said Burlace, who will play for defending national champ Yale next spring. Nielsen capped an 8-goal run with an unassisted score, putting St. Mary’s in command, 10-3 with 4:13 left in the third quarter. Another unassisted score from Nielsen made it 14-4 with 6:48 remaining in regulation. It wasn’t the case for Loyola, which was undone by turnovers and mental lapses Friday. Tuesday, the Dons knocked off McDonogh School. St. Mary’s has arguably been the most impressive team in the early stages of MIAA A play. Tuesday, the Saints travel to Towson for a first-place showdown with Calvert Hall.